The latest local sports news. 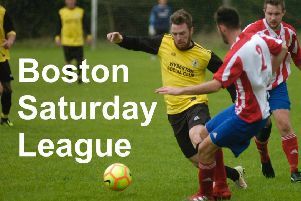 Boston Town and Sleaford Town will have to do it another day as their Bank Holiday derby match has been postponed. A waterlogged DWB Stadium pitch has put paid to the match going ahead this afternoon. Both sides return to action on Saturday, with the Poachers travelling to Newport Pagnell Town and the Greens away at Rothwell Corinthians (both 3pm).